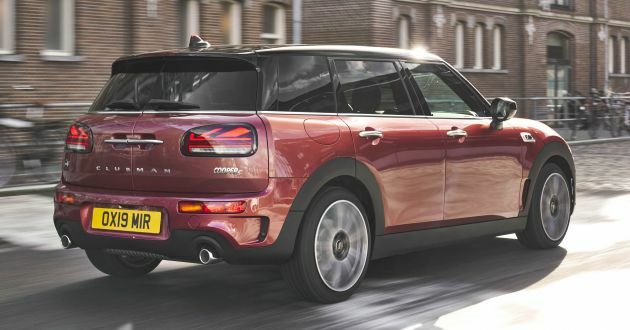 The F54 MINI Clubman has finally been given a facelift, nearly four years after the second-generation model made its debut. Aside from the usual styling updates, the Clubman’s list of available equipment and options has also been expanded. 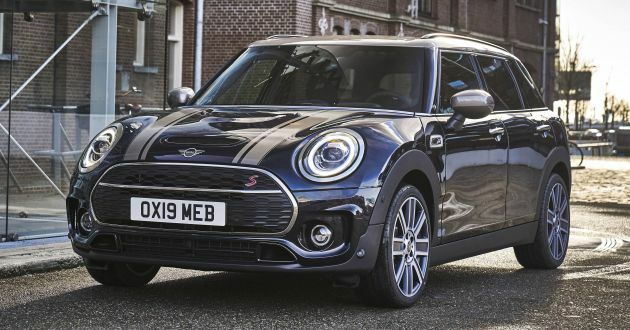 Focusing on the exterior first, the Clubman gains new grille designs, with Cooper variants sporting chromed slats that mask the black bar on the pre-facelift model. Meanwhile, Cooper S models have a honeycomb mesh pattern rather the previous oblongs. The lighting units have also been given an update, with the LED headlamps now benefitting from an optional Matrix function for the high beam. The LED fog lamps have also been restyled to include a driving light ring, while LED taillights now come as standard. Just like the latest F56 MINI, you can have the latter with a Union Jack design too. New body colours have also been added, including Indian Summer Red metallic, British Racing Green metallic or MINI Yours Enigmatic Black metallic. Depending on the selected hue, specific parts like the roof, mirror caps and trim surrounds can be had in different finishes or materials. The Clubman comes as standard with either 16- or 17-inch wheels, but these can be upgraded with 18- or 19-inch units as a cost option. Joining the range are the 18-inch light alloy wheels in the design variants Multiray Spoke 2-tone and MINI Yours British Spoke 2-tone, along with 19-inch light alloy wheels in John Cooper Works Circuit Spoke 2-tone design. Also available as an option is sports suspension, which lowers the vehicle’s ride height by 10 mm, or for even more money, adaptive suspension. 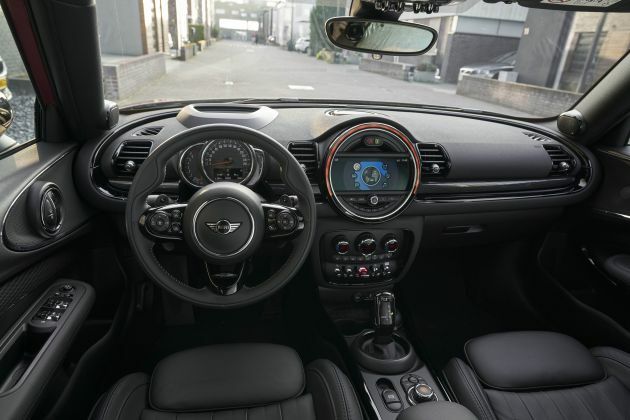 The latter allows drivers to swap between comfort-oriented or sporty characteristics for the damper setup via the MINI Driving Modes. On the inside, you’ll find a new electronic gearlever like the one in the F56 but beyond that, everything pretty much looks the same as before. Infotainment options include the Connected Media, Connected Navigation and Connected Navigation Plus, with either a 6.5- or 8.8-inch touchscreen depending on the selected system. The MINI Connected services list has also been widened. Through the MINI Yours personalisation programme, customers have access to new upholstery options like Leather Chester in the colours Malt Brown, Indigo Blue and Satellite Grey. Other options include different illuminated panels, specific floor mats, among others. For even more customisation, there’s always the MINI Original Accessories, which now includes things like side scuttles, exterior mirror caps and a Night Jack roof design – graphic of the British flag in a black and grey finish. At its market launch, the Clubman will be available in eight variants: One Clubman, Cooper Clubman, Cooper S Clubman, One D Clubman, Cooper D Clubman, Cooper SD Clubman and Cooper SD Clubman All4. The Clubman engine family features two three-cylinder petrol engines, one four-cylinder petrol engine, one three-cylinder diesel and two four-cylinder diesels. As for transmission, they include a six-speed manual, seven-speed Steptronic automatic and an eight-speed Steptronic automatic, with all-wheel drive available with selected combinations.